Do you ever feel frustrated by a room in your home? Ever wish you could give it an overhaul but feel like you lack the skills, time or money? 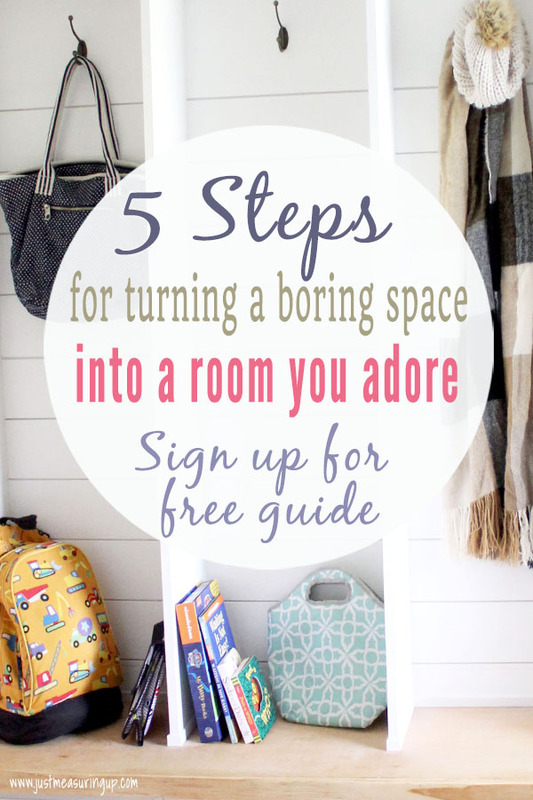 Feeling frustrated with a room in your home?Join our 33 Days to a Space You'll Love Challenge! Get access to our free 5-step guide and receive our weekly DIY newsletter for updates and ideas. 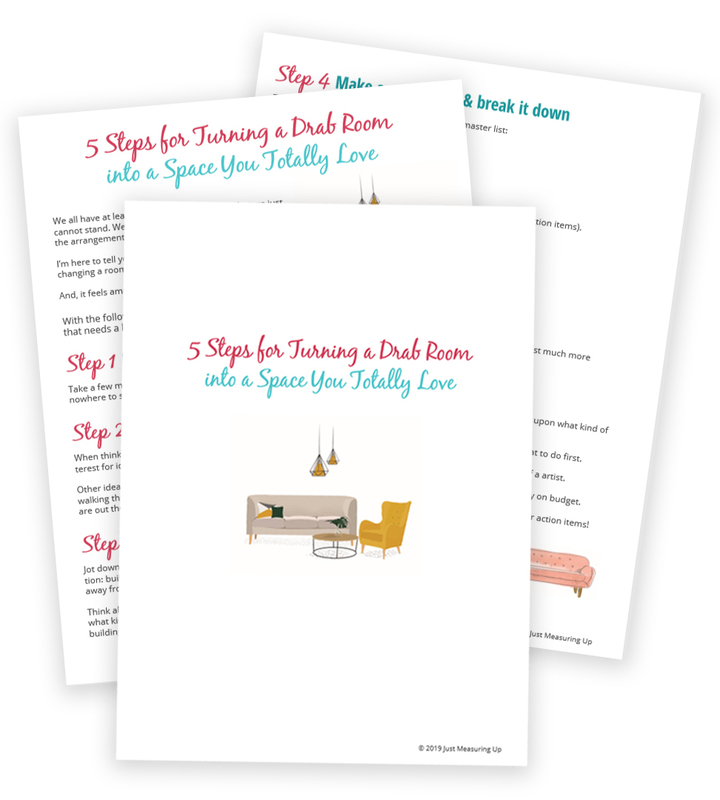 With our FREE 5-step guide, you can completely change one of your most dreaded rooms. 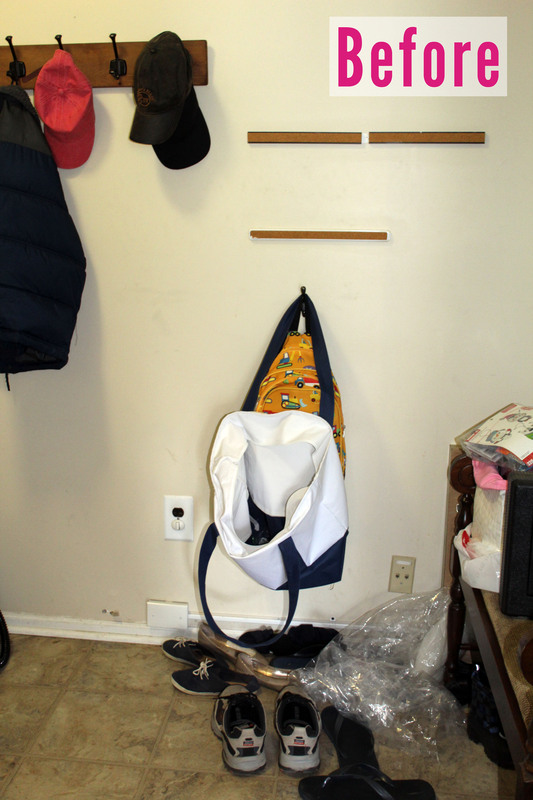 Our dreaded room was our mudroom and entryway(before pictures below). Every time I walked in there, I was immediately frustrated by it. Laundry, backpacks, coats, and boxes were everywhere. There was no storage, and the room was just plain boring. After letting the room drive me crazy for way too long, I started making changes. We were able to completely transformed the room (photos below). 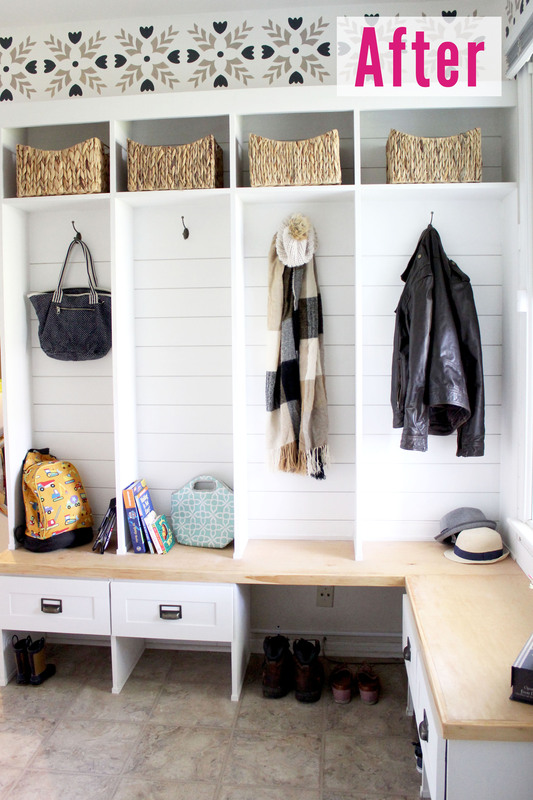 Here is one before and after shot from our mudroom - pretty awesome, right? Hi! We're Eileen and Ash 🙂 We are DIY bloggers that love helping others create a home they love. We starting working on our first home a few months before planning to put it on the market. We were over the moon with all of the easy updates that we made. However, it left us wondering why we didn't make them sooner. Don't wait around for the right time to start - download our free guide today. I know you'll amaze yourself! You deserve to have a home that you LOVE. If you are wondering whether or not you have the skills to makeover a room in your home, don't worry! Everyone has skills - whether it's building a shelf or finding the best deal on a new piece of furniture. 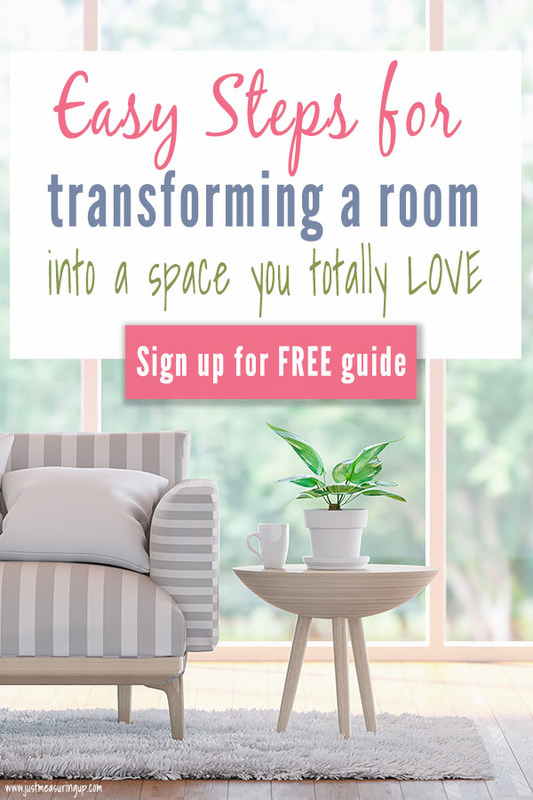 The reason you found this guide was because you are interested in making your home a place you love - and you're the one who knows how to do that. There are also tons of DIY tutorials that anyone can do. These tutorials show you exactly how to do something whether it's stenciling a wall or painting a piece of furniture. So, if you still feel like you are lacking in skills, there's never been a better time to learn more. If you're wondering whether or not you have the budget for a room makeover, don't worry! You set your budget, so you can spend as much or as little as you need to.